Wonderful, elegant gifts for that special occasion! 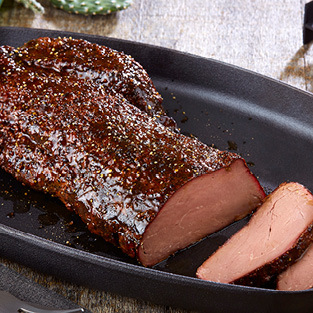 We take the most tender and terrific cut of beef and generously coat it with coarse salt, cracked black pepper and savory spices, then smoke it over glowing mesquite wood until it is medium rare and ready to enjoy. This sensational delicacy may be served warm or cold. Remember your special friends and family with this wonderful gift or serve it for that extra special occasion.